Many people who have been charged with driving under the influence offenses have never been charged with any crime before and are unfamiliar with the criminal process. This often seems like a completely foreign process and having a skilled and experienced Los Angeles DUI Lawyer handling the case can be critical. 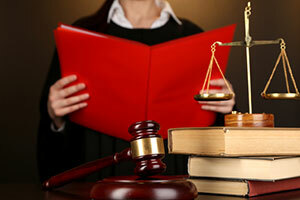 A typical DUI case will pass through a number of different stages as it moves forward in court. When a person is arrested for DUI, he or she will usually be released by the police and will be given a citation with a future arraignment date. At some point before this date, the police agency will submit the case to the District Attorney or City Attorney’s office for criminal filing. A filing deputy district attorney or city attorney will review the case and will determine if criminal charges are appropriate. In many cases, if the defendant has retained an attorney early into the process, the attorney may be able to intervene and prevent criminal charges from being filed. If charges are filed, the defendant or his or her attorney would be expected to appear in court on the arraignment date to answer to the charges. At arraignment, the defendant’s attorney will be provided a copy of the criminal complaint and the incident reports relating to the case. The prosecution may request that the judge impose bail on the defendant at the arraignment or may request that the defendant comply with O.R. conditions such as attending weekly Alcoholics Anonymous sessions or wearing an alcohol monitoring anklet. At arraignment, the defense can file a demurrer challenging the complaint for certain errors. For example, if the offense was charged outside of the statute of limitations, the defendant may be able to file a demurrer and, if successful, the case would be dismissed. Certain courthouses have departments that only handle arraignment proceedings. If the defendant enters a plea of not guilty at his or her arraignment, the case will be set for a pretrial hearing. In some cases, there may be only one pretrial while other cases will have several pretrials. The defense will usually request several additional items of discovery evidence from the prosecution and the evidence is generally provided during the pretrial hearings. These additional items of evidence may include patrol vehicle video or audio recordings, 911 calls, radio dispatch recordings, chain of custody reports for blood samples, breath test machine maintenance and calibration records and anything else that may be relevant to the defendant’s case. Many defense motions are also heard during pretrial hearings. The defense may file a motion to suppress pursuant to California Penal Code Section 1538.5 PC to challenge the validity of the vehicle stop, DUI investigation or arrest of the defendant. If successful, the resulting DUI evidence will be suppressed and the prosecution will usually dismiss the case as they are unable to proceed. The defendant can also file a formal discovery motion if the prosecution has failed or refused to turn over certain evidence that the defense is entitled to. During pretrial hearings, the prosecution and defense will often discuss the case in order to determine whether or not a plea agreement can be reached. If the case is unable to resolve, it will proceed to a jury trial. The defendant is entitled to have his or her case tried before a jury consisting of 12 members of the community who would ultimately reach a verdict of “guilty” or “not guilty” after receiving all of the evidence and hearing all of the testimony. The prosecution would present its evidence and witnesses to the jury and the defense would be given an opportunity to cross-examine the People’s witnesses and present evidence and witnesses of its own. If the defendant is found guilty at trial, he or she will be sentenced by the judge. If found not guilty, the defendant will be released. If the jury in unable to reach a unanimous verdict, a “hung jury” will be declared and the prosecution may be able to retry the case. If you have been arrested for DUI, it is crucial that you meet with a Los Angeles DUI Lawyer right away. Attorney Michael Kraut is a former Deputy District Attorney with over 14 years of prosecutorial experience who understands how to effectively defend his clients through all court proceedings. For more information about Los Angeles DUI court proceedings, and to schedule your free consultation, contact Michael Kraut at the Kraut Law Group located at 6255 Sunset Boulevard, Suite 1480, Los Angeles, CA 90028. Mr. Kraut can be reached 24/7 at 888-334-6344 or 323-464-6453.